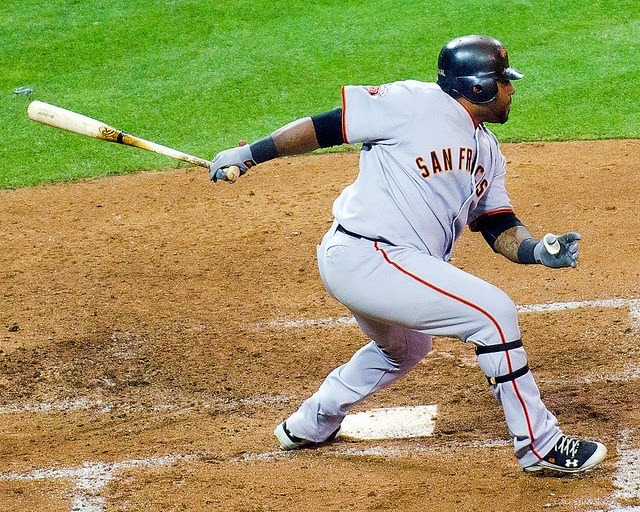 Pablo Sandoval: Striking out at career norms! I'm pretty sure that, based on his preseason weight reports, this was supposed to be a good Pablo Sandoval year. He had a really tough first month, and I noted that on May 8th, his strikeout rate had risen as high as 22% while wOBAing 0.240. He's made a nice turn-around since then, however, and is regressing quickly back up to his career norms. So, maybe a good year isn't out of the question after all! The lesson here is that even when you're looking at appropriate sample size (based on Pizza Cutter's study) for a given statistic, there's still plenty of reason to expect players will project more toward their career averages than their most recent rates. In Sandoval's case, he posted a 20.6% strikeout rate in April, but followed up with a 13% strikeout rate in May. His career strikeout rate? 13%.